Ahh, summer. The time of year we’re supposed to relax and recharge. In theory. Most of us no longer get a three-month break from our responsibilities like we did when we were in school, so it’s up to us to carve out time in our busy summer schedules — between barbecues and graduation parties — to take a few days to focus on our health. Sure, wellness travel is all the rage and there are plenty of pricey options out there, but not everyone can afford these trips. Thankfully, there are a handful of reasonably priced alternatives that give you all the benefits of a health retreat without the sticker shock. If yoga is your thing, we already have an article focused just on affordable summer yoga retreats, so the ones here will go beyond the padded mat, looking toward utilizing nature as a wellness resource. So take a look and take your pick of these health-conscious trips that will leave you feeling rejuvenated and ready to tackle the rest of the summer season. If you'd like to experience the peace and serenity of a Tibetan Buddhist retreat, look no further than… Indiana? Yup, the 90-acre Tibetan Mongolian Buddhist Cultural Center in Bloomington, Indiana offers plenty of space and quiet for reflection and meditation. Walk the grounds, which feature Kumbum Chamtse Ling Temple, a permanent sand mandala, and meditation classes. TMBCC also hosts regular yoga retreats in the spring and summer on the property, in conjunction with Gentle Heart Yoga & Wellness. Stay in one of their Mongolian yurts, which go for $100 per night. 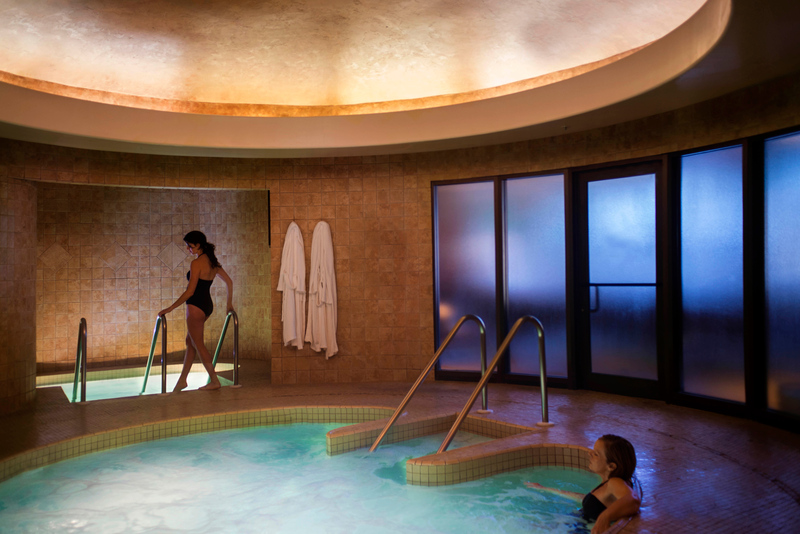 Bowling Green, Kentucky, may not be the first place that comes to mind as a spa destination, but between accommodations at the Kentucky Grand Hotel & Spa and a trip to the Be Happy Yoga & Salt Caves, it has all the makings of the perfect affordable weekend getaway. 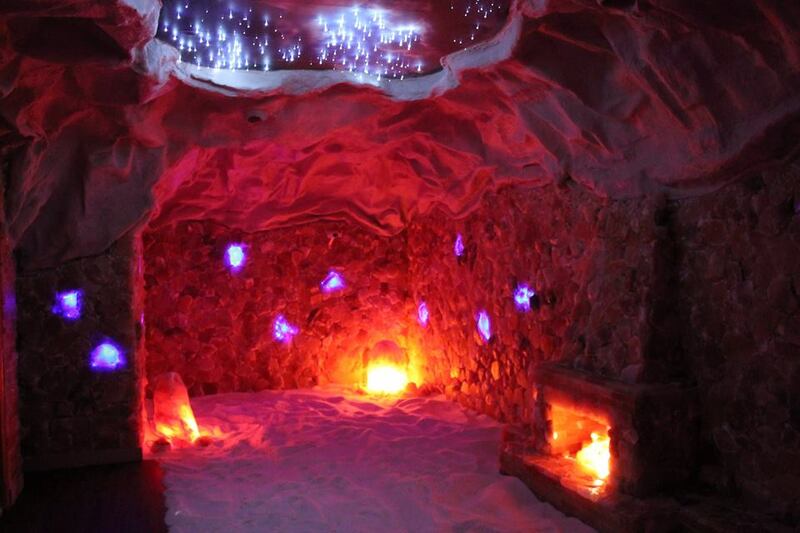 This man-made cave was built using more than six tons of Himalayan salt and was modeled after those in Europe. Salt caves purportedly have natural healing properties that can help alleviate symptoms of asthma, allergies, anxiety and other ailments — but even if that's not entirely the case, it makes for a relaxing way to spend an afternoon. Sundara Inn & Spa, located in Wisconsin Dells, Wisconsin, offered digital detox, Ayurveda, farm-to-table food and forest bathing before all those things where a thing and remains one of the premier (but still affordable) wellness destinations in the Midwest. Guests at the inn can partake in a number of healthy activities, including silent sports like biking, hiking, paddling, swimming and yoga. They have an outdoor infinity pool that is heated year-round and just added a second saltwater pool during a recent renovation. There is also an indoor purifying bath ritual (pictured) available to guests along with a meditation trail through the woods. 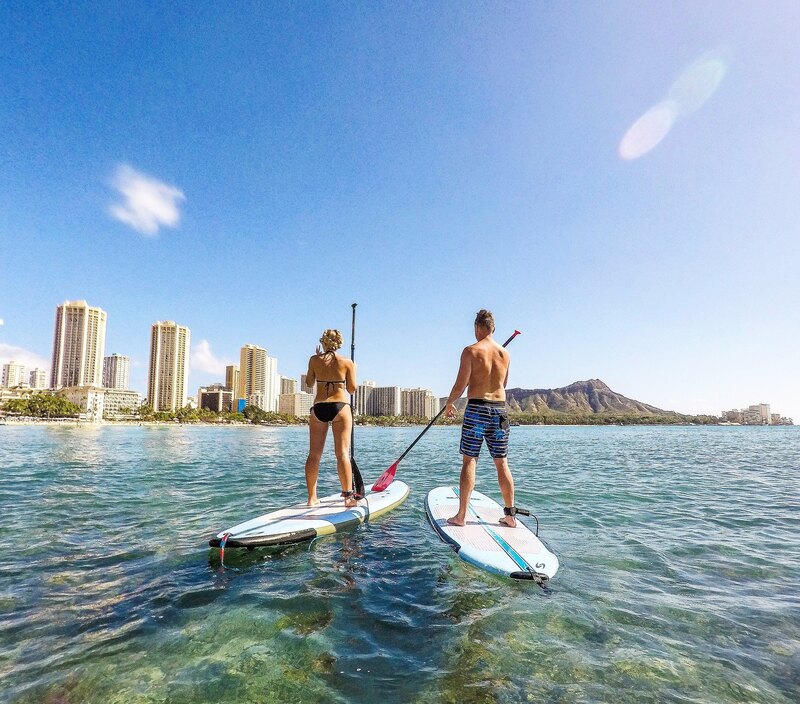 Waikiki Parc in Honolulu, which has great wellness offerings, such as Parc Surf daily surf lessons and Parc Active, which offers complimentary daily fitness and exercise classes — from yoga to Beachin’ Core to tai chi and more. When you're in Hawaii, you're probably going to want to try these activities out, so staying somewhere where they are included in your stay is a win-win for your budget. If cycling is your thing, you're going to want to check out the Buffalo Lodge Bicycle Resort in Colorado Springs, Colorado. 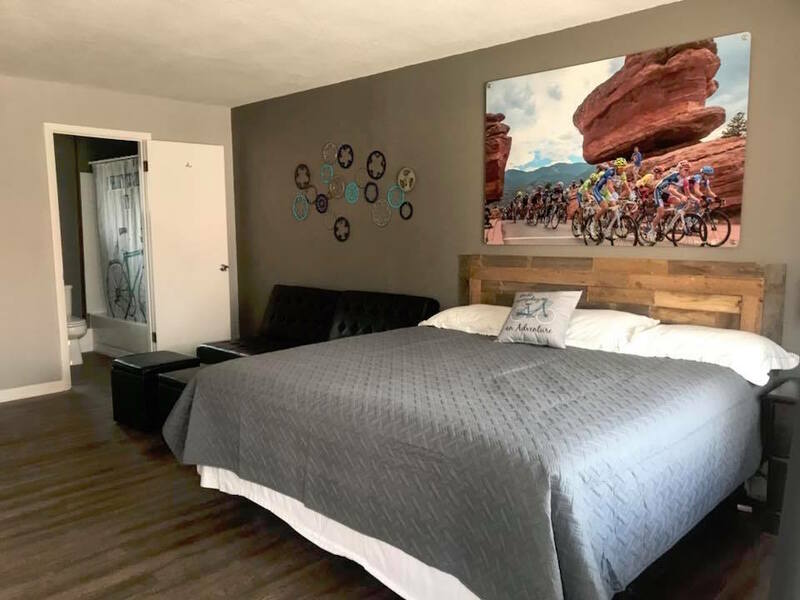 This vintage bicycle-themed hotel with amenities and activities geared toward the needs of cyclists is located on a popular designated bike route connecting Colorado Springs and Manitou Springs. The hotel is also near countless miles of biking trails at the base of Pikes Peak, and guests can unwind after a day on the trails with the property's on-site yoga. The Gilbertsville Farmhouse is located on 125 acres of field and forest in the Catskill Mountains (specifically, Otsego County in central New York) and features a 100-year-old farmhouse and a Glamping Village. 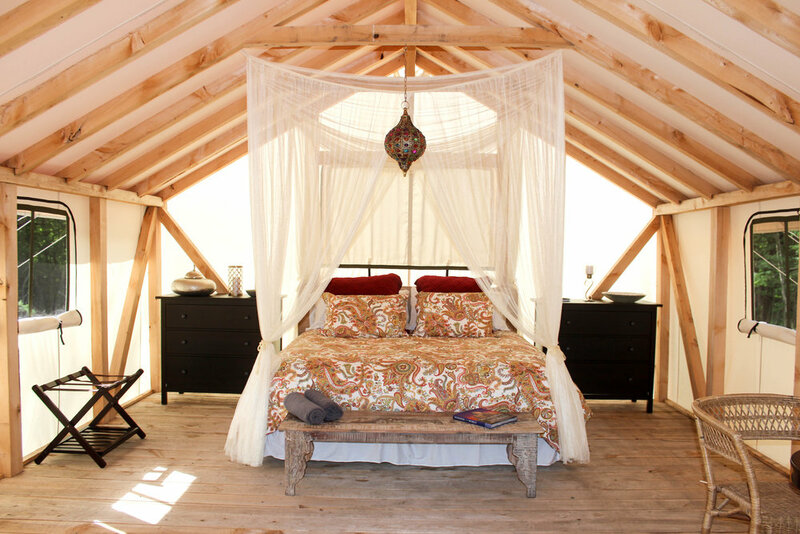 Relax and recharge in their luxurious tents and take part in some goat yoga classes. The farm is frequently used for private events, so it's best to book one of their all-inclusive retreat weekends, which includes glamping for two, goat yoga and all meals over a three day/two night period. 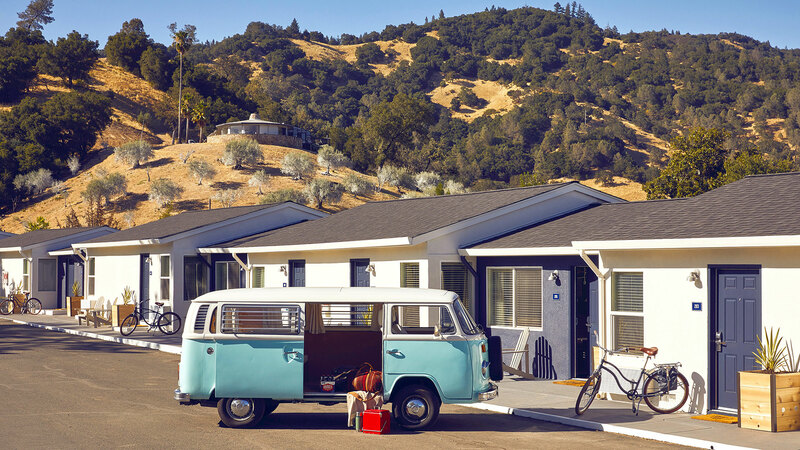 Calistoga Motor Lodge and Spa is a classic 1940s roadside motel that has been completely renovated and reimagined as a laid-back but chic wellness destination in Napa Valley. 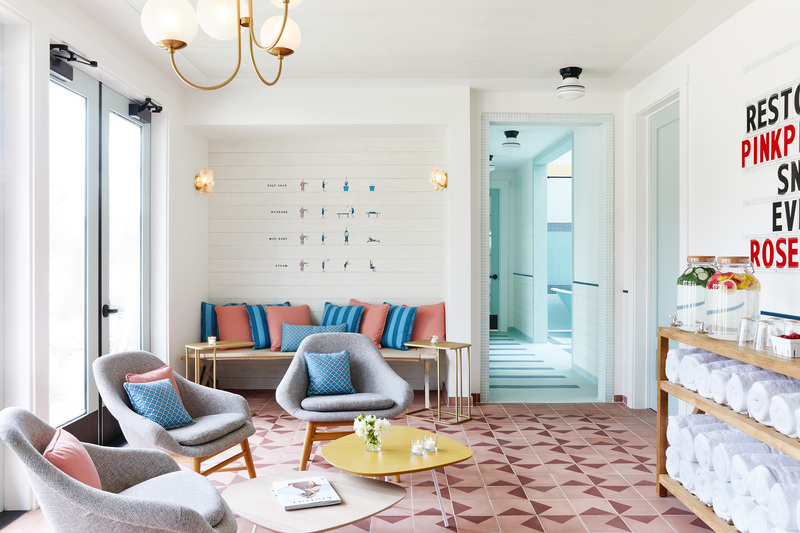 The on-site MoonAcre Spa was modeled after a classic bathhouse and features geothermal mineral water-fed pools and a mix-your-own-mud bar. 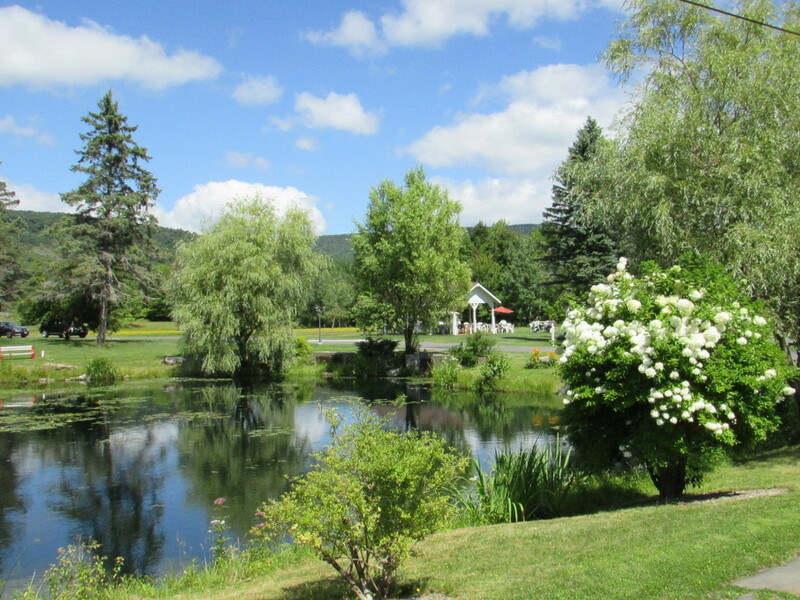 Located in the Catskill Mountains, Peace Village Learning & Retreat Center offers residential retreats, workshops, and weekly classes year-round. This is truly an affordable wellness getaway: overnight stays are $75 and the classes and programs are free of charge. (Donations are, of course, welcome.) They also provide detailed instructions on how to get to Peace Village via bus, ensuring that it's as accessible as possible. 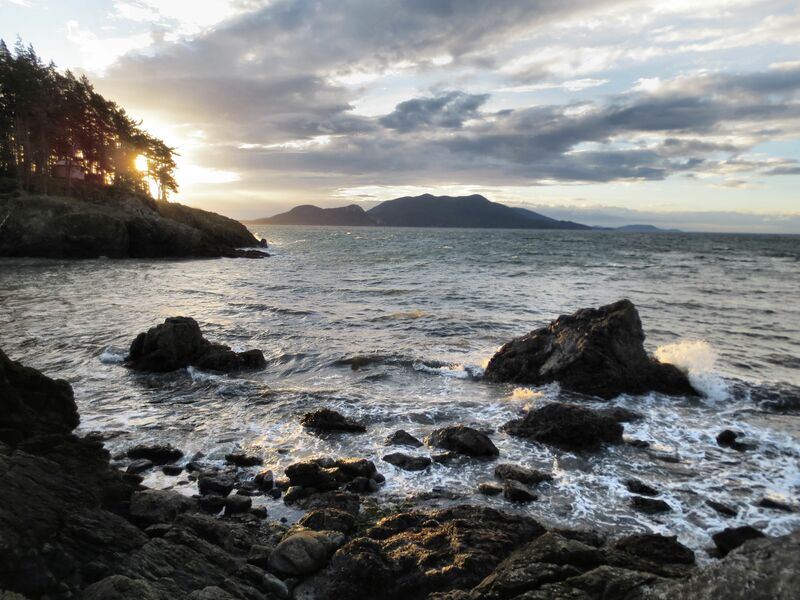 Doe Bay Resort is located on Orcas Island in the San Juan Islands of Washington state and offers an array of health and wellness activities at a reasonable price. 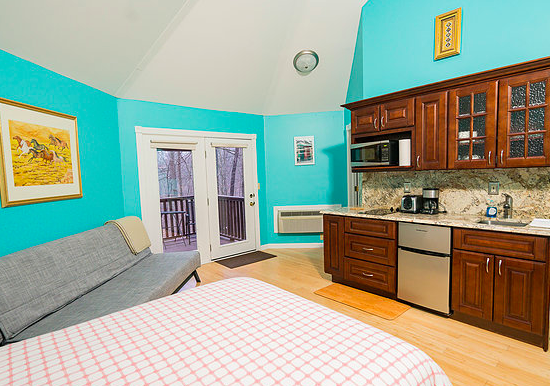 Accommodations range from waterless rustic cabins to cabins with more amenities to on-grid yurts, and the on-premise spa features three outdoor (clothing optional) saltwater soaking tubs set over a waterfall, a dry sauna, an outdoor shower and an on-site yoga studio with regular classes. The property's one-acre organic garden provides fresh food for the Doe Bay Café.